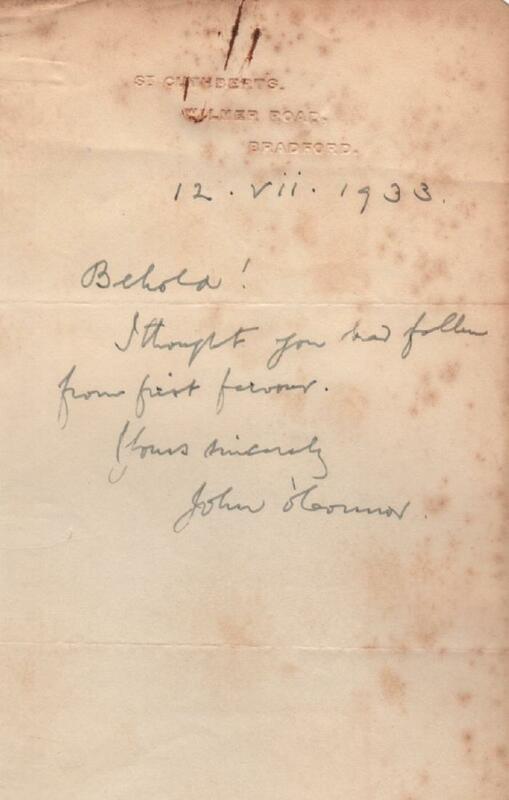 Bradford parish priest Father John O’Connor was the inspiration for G K Chesterton’s fictional detective priest, Father Brown. And, as this biography of the founder of First Martyrs Church reveals, some of the poverty he came across in Victorian Bradford inspired Chesterton to create the criminal underworld where his sleuth operated. This is the story of a quiet but impressive man who spent much of his life as a Catholic priest, but was also regarded as a great intellect, a lover of the arts and literature, and a friend and confidant of statesmen, writers and artists. Father O’Connor commissioned the Stations of the Cross and other sculptures for St Cuthbert’s, his Bradford parish after the First World War, from sculptor Eric Gill, and was involved in the internationally-renowned Ditchling Arts and Crafts movement. He translated French philosophy and collaborated with Gill on controversial and sexually explicit engravings. 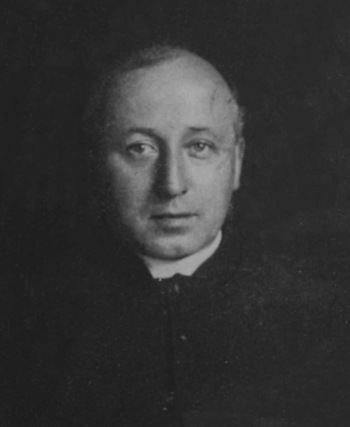 Father O’Connor was no stranger to controversy; he was the inspiration behind the then-radical new idea of a ‘round’ church, First Martyrs, in Bradford, celebrating its 75th anniversary this year. 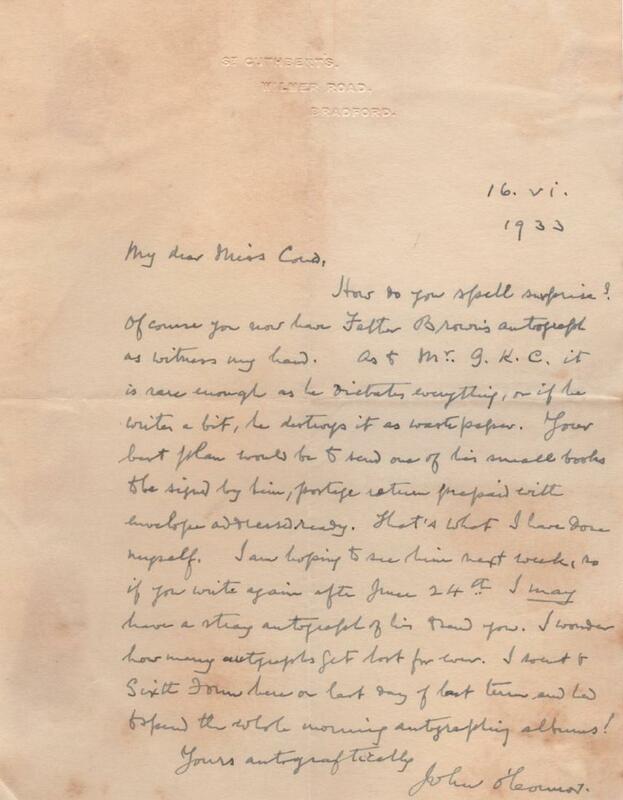 The artifacts are the correspondence of O’Connor and a woman, Miss Eileen M. Cond, who is hoping to obtain an autograph of Chesterton and thinks to write to this priest as her “go between.” She is successful and receives these two letters from O’Connor as well as a small paper with Chesterton’s signature, plus the information about the difficulty involved in obtaining any autograph of the renowned writer. To Miss Eileen M. Cond. This book, by Bradford writer Julia Smith, is a fascinating glimpse into the life of a rather shadowy figure who slipped in and out of different worlds. He was well-loved by his parishioners, many of whom were unaware of his association with leading arts figures beyond the confines of the Church. 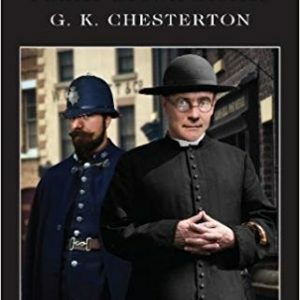 One friend was G K Chesterton, who turned Father O’Connor into maverick sleuth Father Brown. The real-life priest helped guide Chesterton towards his conversion to Catholicism in 1922. The book charts Father O’Connor’s life from a small Irish town straddling the border of Tipperary and Waterford to his education on the Continent by Benedictine monks, and his life as a parish priest. Julia Smith’s engaging tone and thorough research offers an interesting account of Bradford’s social history from when Father O’Connor came to the city as a young curate in 1895. His first posting was at St Mary’s Church, Barkerend. “He thought that he had never come across such a livelier set of people,” writes Julia. “He encountered a rather different set of people in the Poor Law Union Workhouse, just minutes away from his grand church. What he saw there and in surrounding back streets, where conditions made those even of the workhouse seem like paradise, could hardly be more of a contrast to his life in Rome. Julia describes conditions in the workhouse, where ‘Bradforditis’ referred to the smell. Young unmarried mothers ended up in there and Father O’Connor described Nurse Storey, who worked with the girls, as an ‘Angel of Light’. It was through Nurse Storey that he discovered the daughter of a parish family who, finding herself pregnant, ran away. The case led to the setting-up of the Rescue Society, funded by a monthly collection in his parish to help girls in similar circumstances.